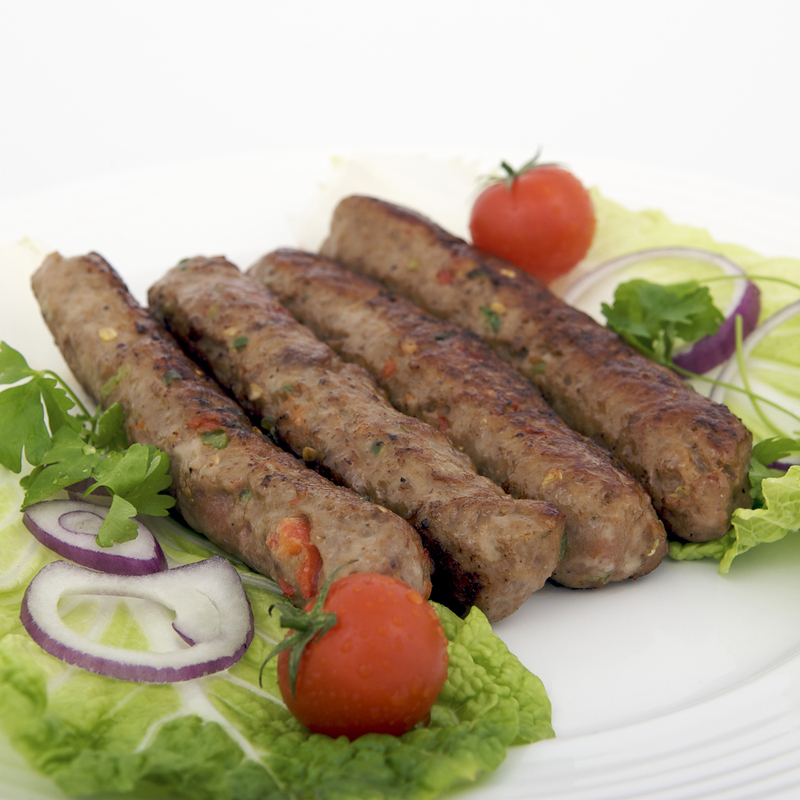 The classic kebab, this product is our most popular by far (it actually accounts for 95% of all sales). If you're looking for a product which will keep the majority of kebab lovers happy then this is the go-to choice. Popular in Southern parts of the UK, this mix really lets the meat flavour come through. As with all of our cooked meats, this is a simple re-heat and serve product. Conventional Oven method: Pre-heat oven 200°C/400°F. Remove a portion (1/4 of pack) from the bag and place on a baking tray. Heat for approx. 8-10 minutes until piping hot. Pan fry method: Remove a portion (1/4 of pack) from the bag. Place in a hot frying pan and heat, keep turning the meat until its piping hot. Contact Grills (George Forman Type): Just put your meat on the contact grill for 25 Seconds and it's cooked to perfection. 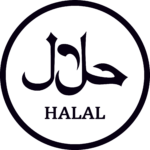 Mechanically Seperated Chicken (60%), Beef (20%), Lamb (5%), Beef Fat, Water, Rusk (Wheat Flour, Salt, Anti-caking Agent E535, Raising Agent E503-ii), Wheat Flour, Soya Protein, Salt, Onion, Flavour Enhancer (E621), Powder, Garlic Powder, Spices, Chilli Powder). Although every effort is made to ensure the product is completely free from bones, some small pieces may remain. Due to the nature of this product some clumping of pieces will be evident within the bag. Please be aware that once heated this product is very hot - please take care. This fully cooked product needs to be simply re-heated and served. Ideally used like the kebabs in Pittas or Tortilla wraps, or on its own with chips and salad. Children also love the look and taste of them as its just like a skinless sausage.  Mechanically Separated Chicken (60%), Beef, (20%), Lamb (5%), Beef Fat, Water, Rusk (Wheat Flour, Salt Anti-caking Agent E535, Raising Agent E503-ii), Wheat Flour Soya Protein, Salt, Onion, Flavour Enhancer (E621), Stabilisers (E451i, E300), Seasoning (Mixed Peppers, Salt, Onion Powder, Garlic Powder, Spices, Chilli Powder). It is already a Pre-Cooked Product. Once you receive your product, all you have to do is take the desired portion out of the box and reheat. 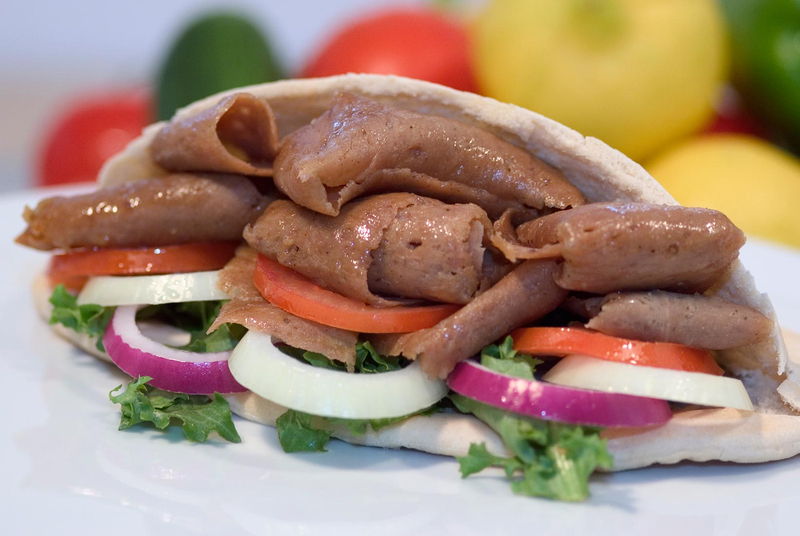 Serve in Pitta Bread, Bread Baps or just with Chips and Salad, An increasingly popular use for Kebab meat is for filling in either a Tortilla or Naan Bread. 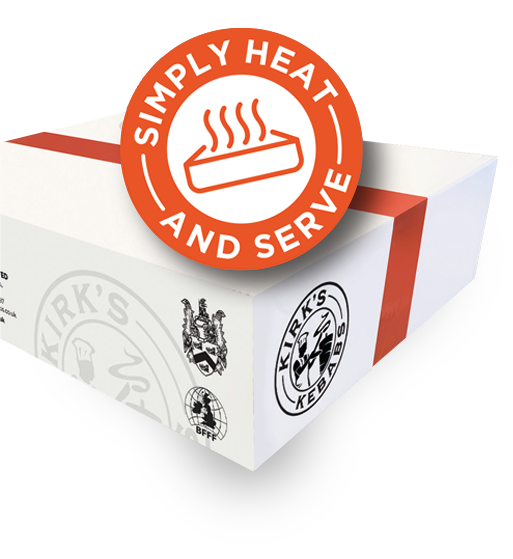 Kirks Kebabs are a UK Kebab Wholesalers, offering both raw and cooked meat products to a national distribution network of wholesaler and distributors from Lands End to John O' Groats. We can only supply by the pallet. Ordering Couldn't Be Any Easier! As all goods are made fresh to order, we require at least two weeks notice. Quantities are available in pallet sizes ranging from 1/2 a pallet to 20 pallets maximum in one day. Order 1 pallet or more to qualify for free delivery. If it's your first order, we'll also ship half a pallet FREE to get you started. Deliveries take between 2-3 Working Days dependant on the location. Let us know what you're looking for and we'll get right back to you.